This was originally posted by me at http://blackanddarknight.wordpress.com (no longer available) on October 14, 2011. I meant to get this post up yesterday, but life got in the way! So, here it is now! 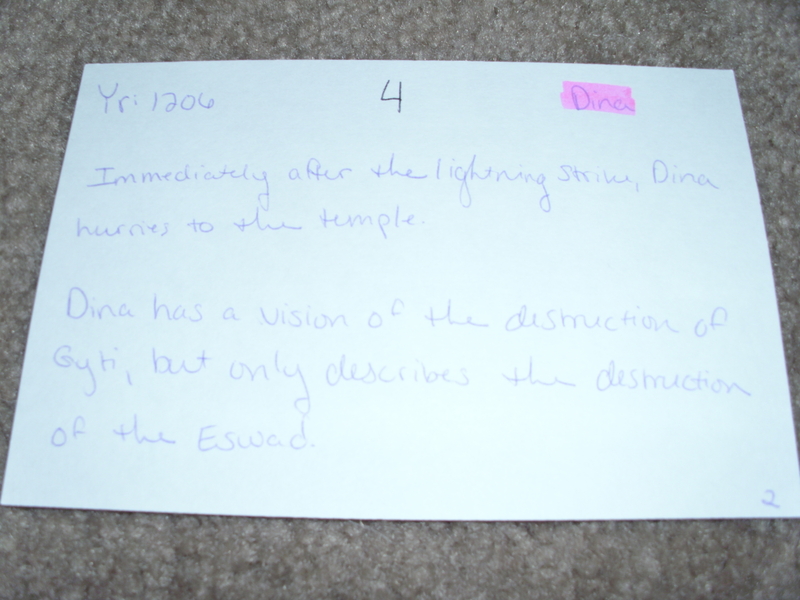 Jen from A Single Bell asked on my last post about how I outline with index cards. So, I’ll go into a little bit more detail with this post. This is totally adaptable, I outline differently for every story, because every story is unique. (I did end up with a couple of cards that had just major plot points on them without character specific ones, because they didn’t happen at the same time as anything else). 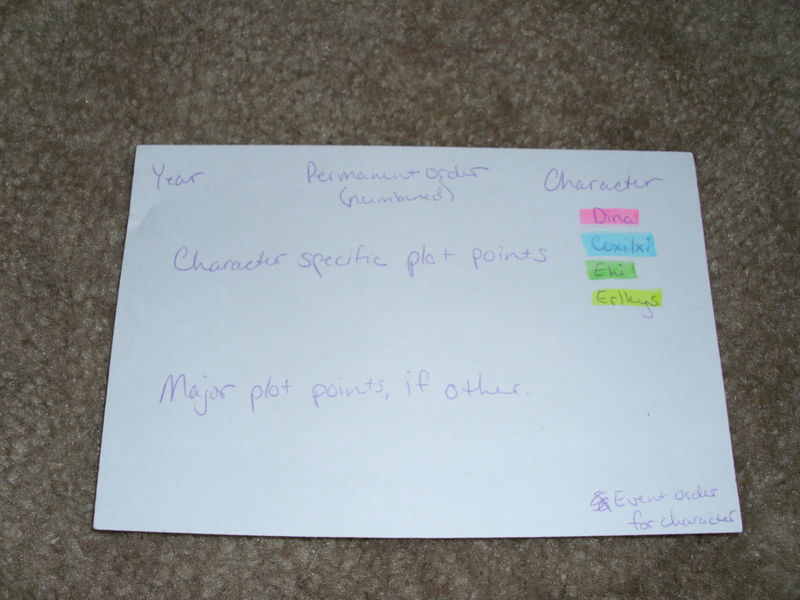 Chronological order of plot points for each character. Are you still with me? I know it’s a lot of information to follow! Hopefully that will give you some idea of how I execute this massive endeavor . . . let me know if you have questions!